Templeton School was built in 1877 to cater for the needs of the village and outlying regions. The school underwent a complete refurbishment of buildings in 2000 when five new classrooms were constructed and many other areas of the school were rebuilt and greatly improved. This was done to accommodate the rising numbers from 72 in 1990 to 135 at its peak. A porch and veranda have since been added, the outdoor play area was completed in September 2005 and is used by the whole school. A path around the playing field has been very successful in promoting extra exercise for the children during the winter months. 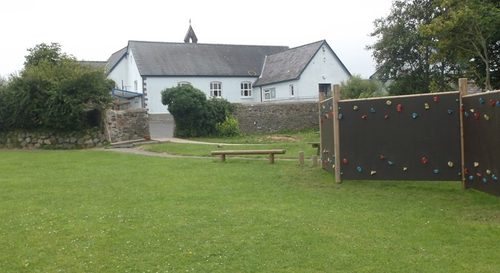 An outdoor play area and Pembrokeshire hedge were constructed in 2009 and an outdoor classroom built in the summer of 2011. There is a beautiful stained glass window in the front of the school. This was designed by the pupils to mark the millennium and depicts the scenes familiar to the development of the village. Our school has strong links with the Templetots playgroup which is on the school site. The majority of our children attend playgroup when they are pre-school and then move to the school when they reach the required age. In September 2011 the school’s Foundation Stage Unit was opened. 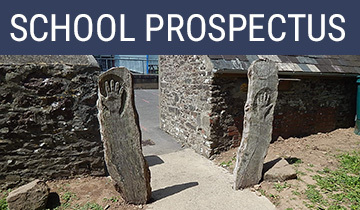 This enables the school to best deliver the Foundation Phase Curriculum to all children aged 3-7, using the excellent facilities we have at school. 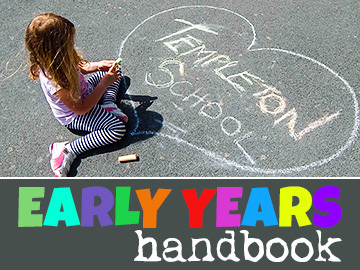 Since September 2014 Templeton School has been federated with nearby Tavernspite School. Despite this close association, the schools have completely separate budgets and have maintained their own identities in their prospective communities. 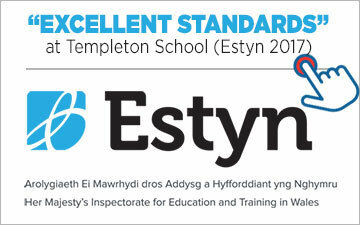 The federation has allowed Templeton School to absolutely thrive. 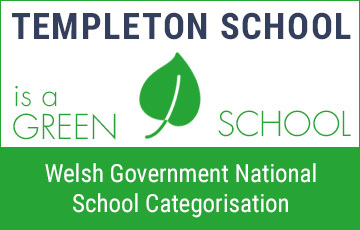 It is currently categorized as a GREEN school, the highest level of performance and is almost full to capacity.